We had such great feedback on our last post from inside the vaults of the Girl Guides of Canada archives, that we’re giving you another peek at some of our treasures. Among the most coveted items in our archives are log books where companies (or units) recorded their activities. One log book in our collection is from 1927, and it was donated along with a photo album from the same unit. 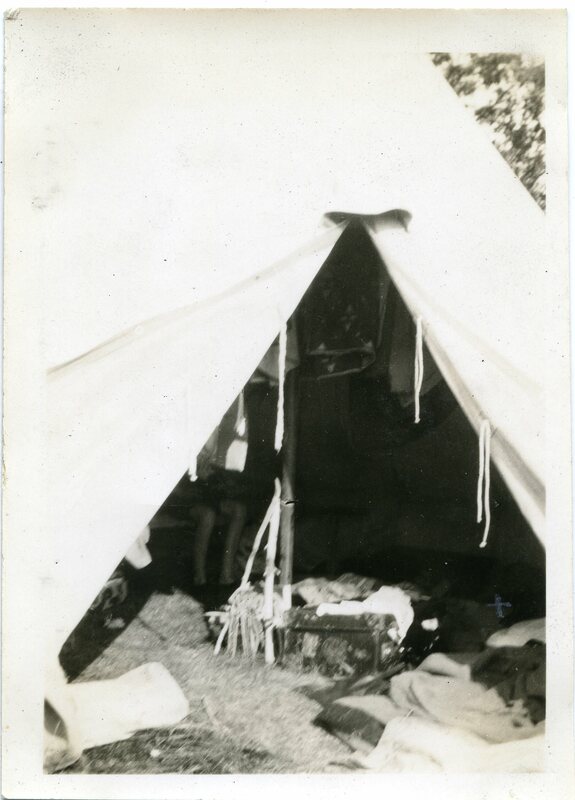 It’s so revealing to be able to read the girls’ own accounts of their camping trip and to see the images they captured. Here are some quotes and accompanying photographs from the “The Swallow Patrol Log Book” Camp Notes 1927. What are your favourite retro camp memories? What do you prefer about camping in 2014? This entry was posted in Opening the Vaults, Uncategorized and tagged Opening the Vaults. Bookmark the permalink. These are fantastic! Pictures and notes of these girls bring a smile to your face just thinking ofthe fun and friendships!